I use a Silhouette Cameo Cutting machine for my paper crafting and I design all my own files using Illustrator. I have a sister site 3dcuts.com were I sell these files to other crafters. And at this site every download comes with the file in SVG, PNG, DXF and PDF formats. That is because ANY paper crafter can make these files. 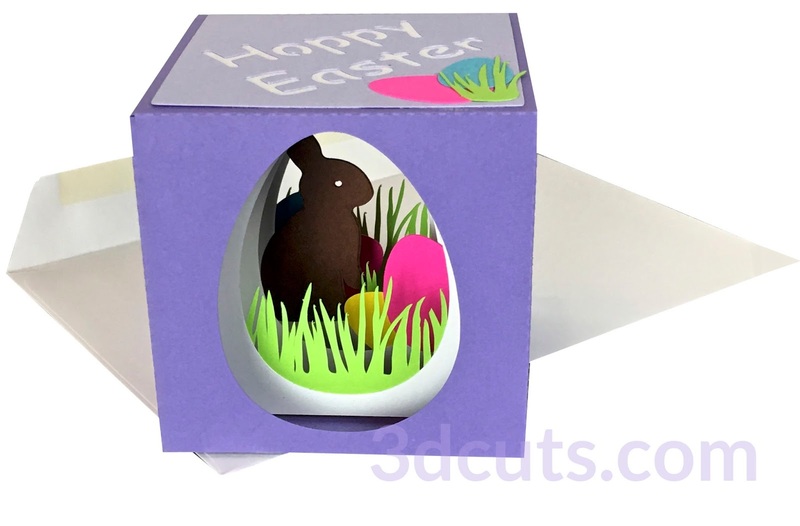 Here is my latest file design as a 3d Easter Card that can fold flat for mailing. This file can be made using a Cricut or a Brother ScanNCut but it can also be cut by hand using and exacto knife. Yes it takes longer, and it takes skill but many people do make my files with out the cutting machine. In each tutorial I provide links for folks with other cutting machines to help in the prep of files. And, after cutting, there is can easy to follow tutorial for the assembly.